Welcome to John's Auto Repair! Whether you need to schedule a regular maintenance appointment, or require repairs due to damage or malfunction, look no further than John's Auto Repair. 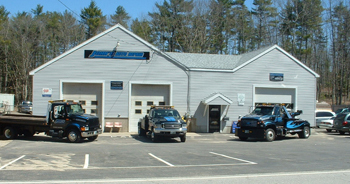 John's Auto Repair is a complete automotive and medium duty truck repair facility that services both foreign and domestic cars and trucks, and offers same day service on many repairs. Our state-of-the-art service facility incorporates the latest automotive technology and ASE Certified Technicians with excellent customer service. We believe that every John's Auto Repair customer is a special customer, and we will work hard to keep your business. When you need high quality automotive repair or maintenance at an affordable price, look no further than John's Auto Repair! ©2017 John's Auto Repair | (last updated 4-19-2017) | Website designed and hosted by Park Lane Services.